I am able to open old emails that were encrypted, but I can not write new email and encrypt. When I go to system preference then GPG Suite - I see "No key found. 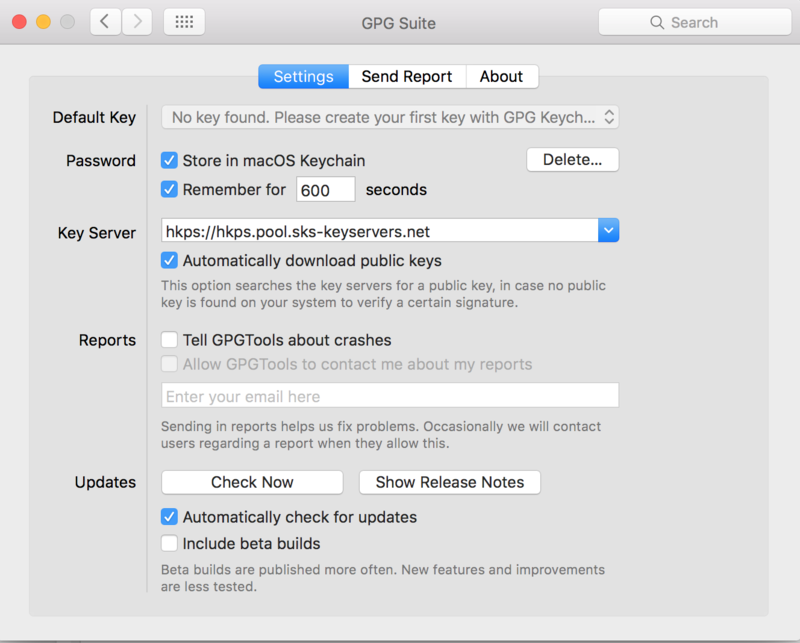 Please create your first key with GPG keych..". But the drop down menu is not clickable. Steve closed this discussion on 26 Mar, 2018 01:17 PM.